More than a ride on a train! Save the Railroad Through the Adirondacks! We are in the final stretch! The political battle regarding the future of the Remsen—Lake Placid Corridor is coming to a head, the State of New York has recently announced four hearings to solicit public opinion on amending the Unit Management Plan of the Corridor—particularly from Tupper Lake to Lake Placid, while revitalizing the rail south of Tupper Lake. Despite the success of the Railroad and the historic value of the line, a small and well-funded group advocates ripping up the railroad, destroying our past and limiting our future. 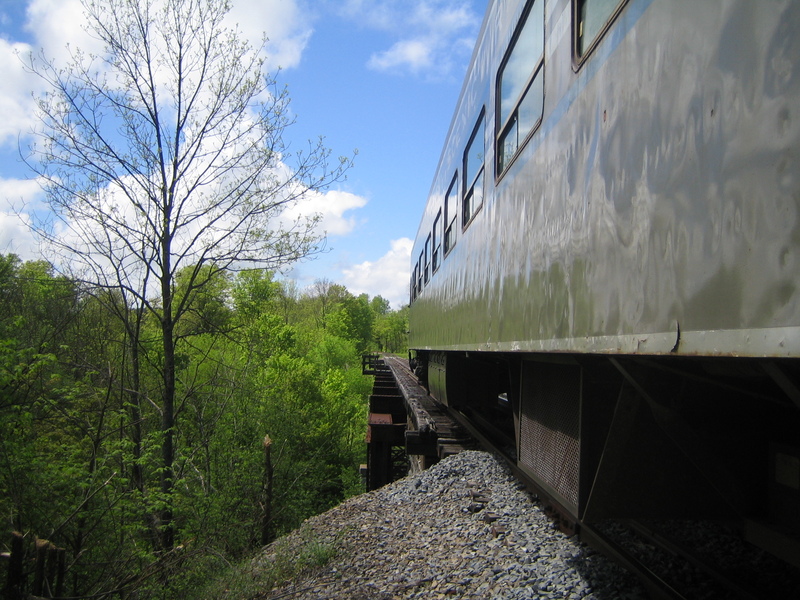 We encourage you to attend one of the public hearings and submit your written comments to the DOT and DEC in support of an entirely restored rail corridor and developed trails where compatible. -Has carried over 1.5 million passengers since its inception in 1992, with a 35% ridership increase in the last five years alone. -Is operated by a group of about 350 volunteers who give a collective 15,000 hours per year to the RR, serving as conductors, engineers, board members and maintain the 119 mile corridor. -Already offers “Canoe & Rail” and “Bike & Rail” packages which are successful and could be expanded with a fully operational line. -Brings a significant economic impact to the region; the RR is not only a job creator but has an annual operating budget of $2 million and works with local vendors, suppliers and merchants. -Draws tourists to the five counties through which it operates. Most riders originate from outside the county of their departing location. – Supports a system of rails and parallel and interweaving trails, first called for in the original 1996 UMP. -Is a multimodal corridor! The RR operates seasonally, snowmobiles to have exclusive use of the corridor in the winter months. -Will reach its full potential with rail service restored over the entire line, linking tourists towns of Lake Placid, Saranac Lake, Tupper Lake and Old Forge with Amtrak and national rail service in Utica. -Can accommodate trails north of Tupper Lake, all of which have already been mapped out by the Trails and Rails Action Committee. -Will offer a unique tourism opportunity with train service allowing for drop off points for hikers, paddlers and outdoor enthusiasts in the most remote parts of the Adirondack Park. -Is listed on the National & State Registers of Historic Places, is a protected landmark and one of the longest historic district in the nation. -Is owned by the People of the State of New York and should be enjoyed by all, regardless of their physical capabilities or age. Thank you for supporting the Adirondack Railway Preservation Society and Adirondack Scenic Railroad!